Working to be Someone presents an overview of worldwide research on working children that considers children's own views of employment in favour of adult-constructed arguments about child work. This book brings together contributions by internationally renowned researchers who are committed to a 'subject-orientated' approach as well as views and observations of activists from organizations that either work with child labour or support working children's movements. Chapters examine the traditionally widespread care and domestic work carried out by children, discuss localized explorations of working children - for example in Morocco, India and Europe - as well as consider work as a means for children to contribute economically to the family. Contributors also discuss children's movements and organizations in Africa, Asia and South America that claim work as a necessity for survival as well as a key to children's own agency and citizenship. This book is a key text for both academics and social work practitioners that encourages re-evaluation of the notion of childhood and understands the complex phenomenon of working children. Buy Working to Be Someone by Beatrice Hungerland from Australia's Online Independent Bookstore, Boomerang Books. Beatrice Hungerland is Professor of Childhood Studies at the University of Applied Sciences, Magdeburg-Stendal, and a member of ProNats Berlin, an initiative supporting the working children and youth's worldwide movement. 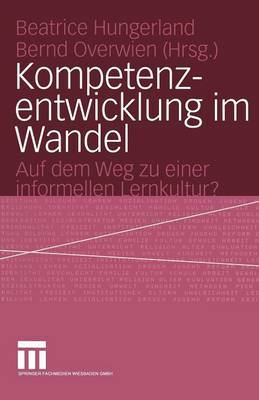 Manfred Liebel is Professor Emeritus of Sociology at the Technical University of Berlin. He is a consultant and lecturer on working children and youth movements in Latin America and Africa, and he co-edits NATs: Working Children and Adolescents International Review. Brian Milne is a consultant researcher and trainer in children's rights. He has done research, evaluation and training in fields of child protection, originally specializing in the fields of street and working children. Anne Wihstutz has a PhD in education and sociology of children, is a scientific assistant, and lecturer at Martin-Luther-University Halle-Wittenberg. Her areas of research include working children, domestic work and care by children, and social work.